Welcome to my birthday pawty! Thank you all for so many lovely birthday wishes. I’ve been blown away by how kind you all are! I even got a pawesome card from my good furiend Sammy and his mum Pam from One Spoiled Cat! 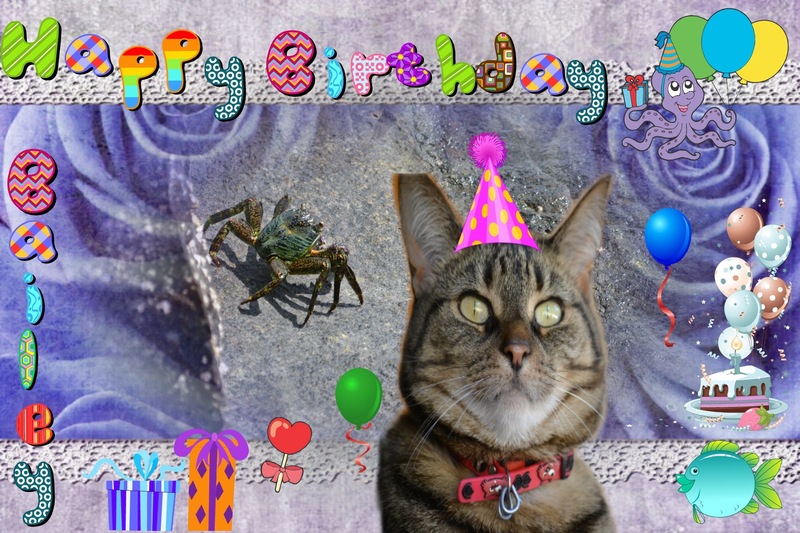 I love this card and crab too from my friends over at Fozziemum! Pickles, Dinnermintz, Cleo, Marbles and the tail wagers Forrest and Doc and the woolly mammoths..Oscar, Jock and Felix, thank you very much! Today we have a great pawty planned for you. We have treats galore and tasty meat dishes! There’s a ball with yummy things inside. 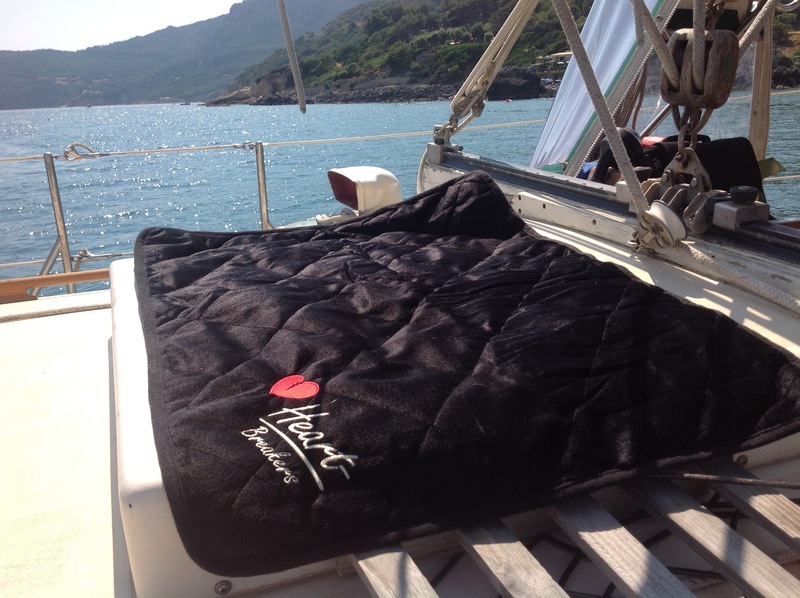 I have a lovely new blanket that you can snuggle up on on-deck. 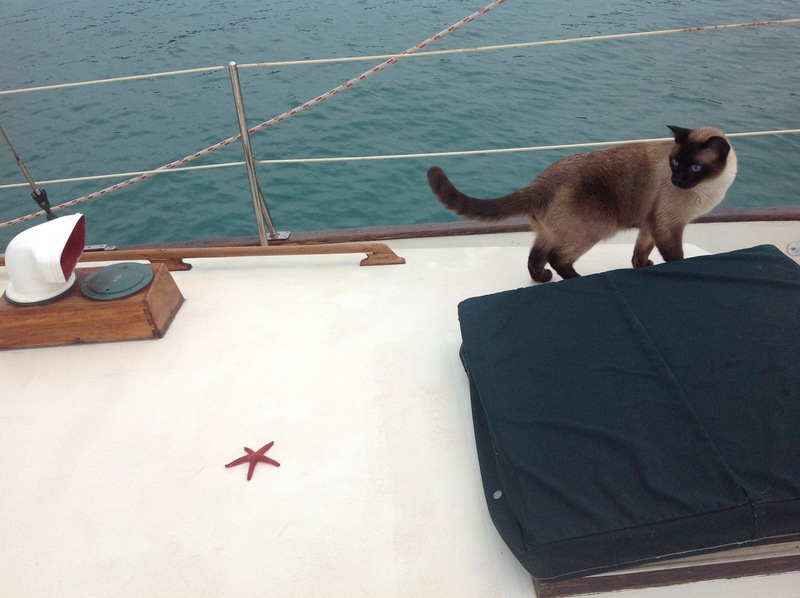 The best part….Mr Starfish is providing the entertainment! And we can all celebrate that thanks to my humans, their family, family friends and of course all of you helping me find new birthday friends we’ve managed to raise £100 for the RNLI! Hooray! I’m super happy! Thank you all! Enjoy! Wow – great news that you raised the full amount for the RNLI – well done everyone! But more importantly -Happy Birthday Bailey 😀 Enjoy the rest of your cruise. Happy Birthday Bailey!!! 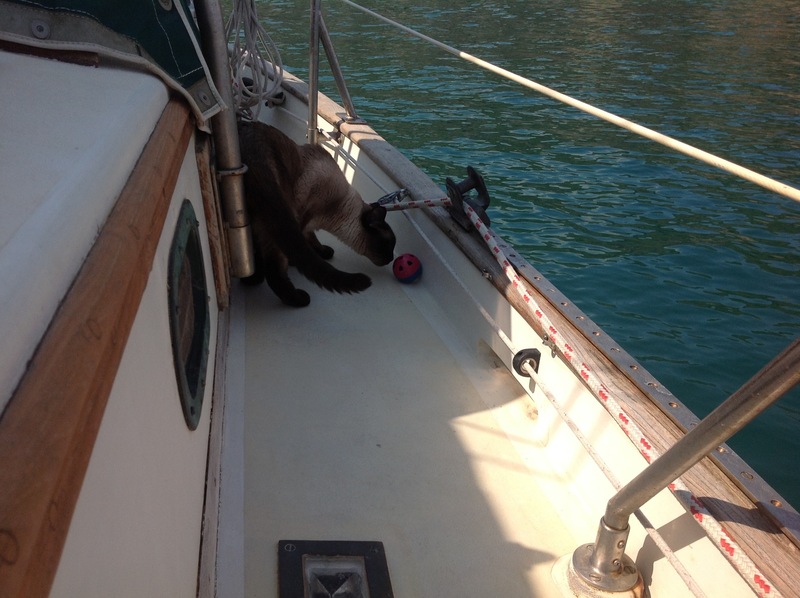 Hope you have a purrrfect day on the sea!! Happy Birthday Bailey! Hope you are having a fun day! Happy Birthday to you pawesome pal! Happy Birthday Bailey! Hope it is PURRRfect! 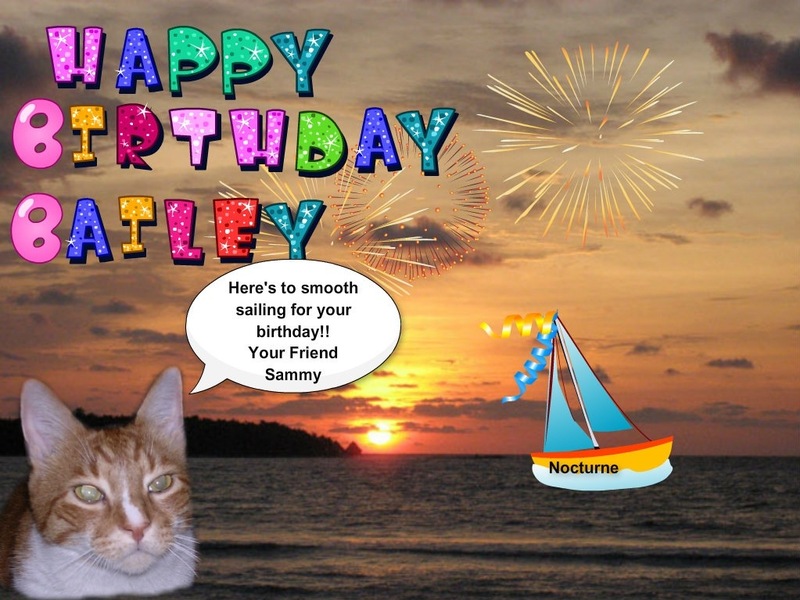 Bailey what a GREAT party – my very first sailing birthday party and I’m so happy you invited us aboard to help you celebrate! It’s a beautiful day and I sure think that starfish is way cool! Thanks for having us – I do hope the rest of your trip is as much fun as today has been! Happy Birthday, Bailey! GREAT birthday pawty – thanks for the invite! Have a wonderful birthday and my Ali kitty wishes you an absolutely purrfecctttttttttttt birthday. Happy Birthday, Bailey! May you have lots of treats and toys on your day. Paws up, Bailey! Happy birthday to you! 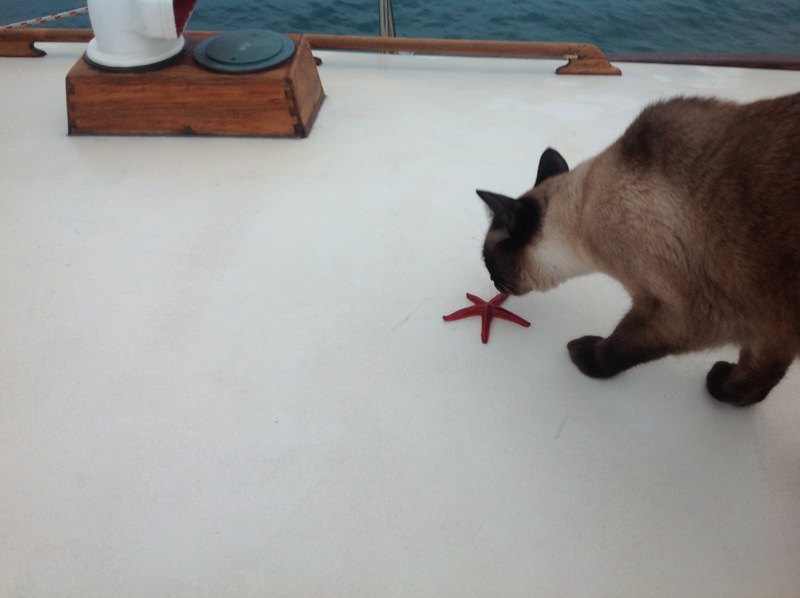 Wow, I have NEVER seen a starfish! What a weird critter – does it taste like tuna? Happy Birthday to you! Happy Birthday to you! Happy Birthday dear Bisous Bailey! Happy Birthday to you! Teddy and I hope you have the pawesomest birthday ever! Meow! 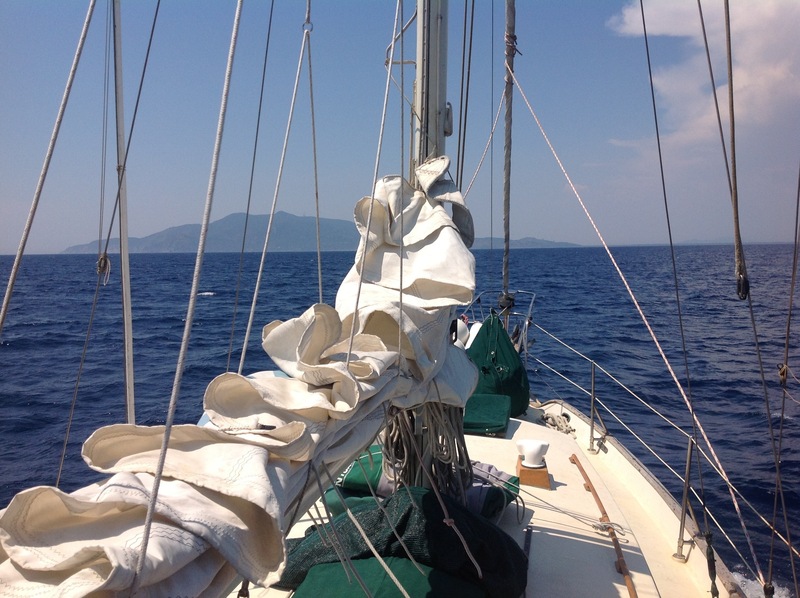 Why did the humans have the sails furled? 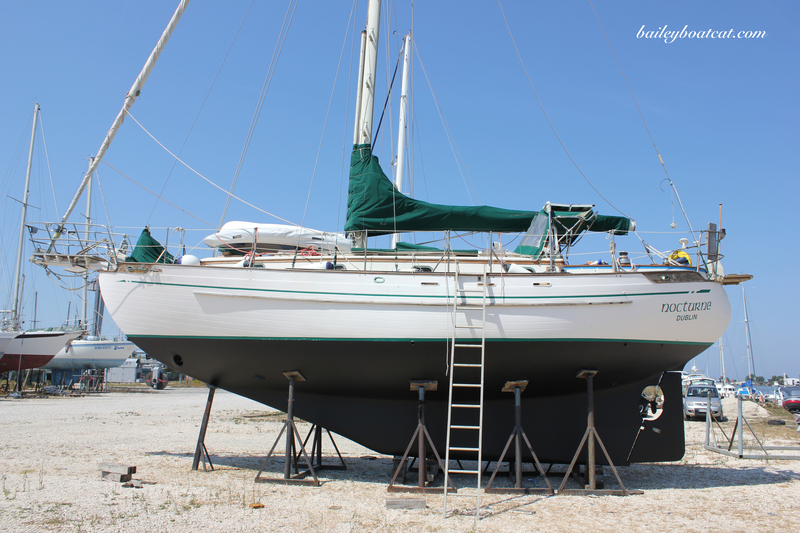 You weren’t sailing under (shudder) power, were you? Great pawty. My sister and I are glad you raised the money for RNLI. Enjoy the rest of your special day. I hope you have had a fantastic birthday, Bailey! Hooray for your birthday. I really like your new blanket in the sun. Happy Birthday! Glad you were able to raise the money you wanted to! Thanks for checking out my blog, http://www.lostinsiouxland.com. You are much braver than my cats. They don’t like movement unless it’s with their own paws, and as for water, if they can drink it. But one of my pets enjoys sitting on the deck in 20-30 degree weather in the winter time just watching the birds at the feeder. Do you have much luck with seagulls?